Wholesale Warranties is a trusted name in the RV community, representing a number of dealerships, repair facilities, and brokerage firms in order to provide RV owners wholesale pricing on RV warranties. 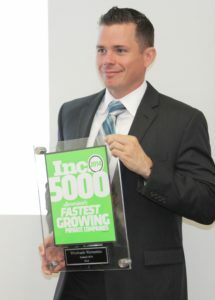 The online company has received many accolades since conception, such as two consecutive years as an Inc. 5000 Fastest Growing Private Company, an A+ Better Business Bureau rating, and high praise from influential names in the RV industry. With a background in operating outdoor-oriented businesses, like his family owned and operated marinas, Jeff Shelton had an established passion for catering to nature lovers prior to creating Wholesale Warranties. Shelton’s entrepreneurial spirit led him to relocate to Southern California from his small Minnesota hometown, and build a successful online business in his late 20’s. Many years later, Jeff Shelton has found himself fully immersed in the RV community, attending various RV events, working directly with customers and industry colleagues, and even being an RV owner himself. Jeff was also named a finalist in the 2016 San Diego Business Journal’s Most Admired CEO awards.